DC Collectibles takes its popular Batman: The Animated Series action figure toy line to the next level with this insane Batcave playset! 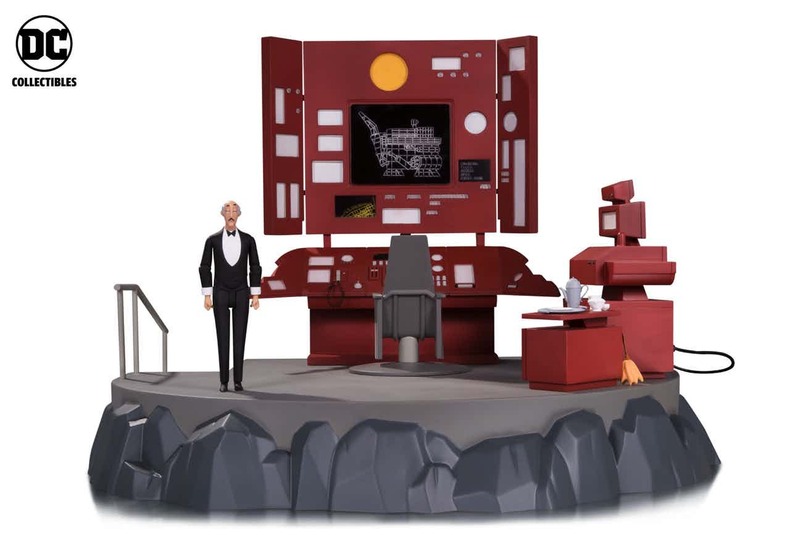 Now fans can recreate their favorite scenes from the iconic DC Comics cartoon with the Batcave vignette, which features a battery powered LED light-up Batcomputer with interchangeable computer screen graphics and an Alfred action figure. This super detailed box set also includes Batman’s computer chair, a mop and Alfred’s tea set. It’s a must get for any diehard B:TAS fan! The Batman: The Animated Series Batcave Playset measures 15.40” high x 19.40” wide x 16.40” deep, while the Alfred action figure stands 5.78” tall and features multiple points of articulation. This awesome set can be pre-ordered now at Entertainment Earth for $149.99 here.